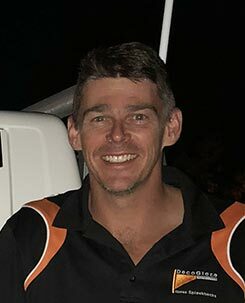 In February 2018 we welcomed a new Central West Agent to the team – Paul Van Der Westhuis. Paul came to us with a wealth of experience in the mining industry, particularly in the field of Process Services. This attention to detail and adherence to procedures absolutely benefits him in his role as a DecoGlaze™ Measurer and Installer. DecoGlaze™ Central West incorporates Commercial splashbacks in the Blue Mountains as well as standard glass splashbacks in the Blue Mountains as well. Asked to describe himself in just 3 words, Paul’s answer is “Seek Higher Performance”. This is evident in everything that Paul does and not only sets a great example for his family, but is just the sort of person we want representing us as an Agent. Paul is also a wealth of design knowledge and can provide you the guidance you need when you’re looking for bathroom splashback designs in the Blue Mountains or greater Central West. The Central West region of New South Wales is renowned for its food and wine and excellent agricultural produce. Unique in its diversity of economy, the Central West Region of NSW is rich in natural resources with agriculture and mining significant drivers of growth. Increasingly manufacturing, health and education have taken on a significant role in the region’s $9.65 billion economy. From Orange to Mudgee, Bathurst to the Blue Mountains, and all points in between, Paul is at your service. His talents extend beyond the home, to the office or your commercial space. We cater for homeowners, home builders and project managers. For an obligation-free online quote, or to arrange an appointment for Paul to visit you on site, please click here.